A superluminous supernova is an immense supernova more than ten times that of the type Ia supernovae used to measure cosmic distances. They are so intense that they challenge our understanding of just how they occur. Two possible mechanisms include the idea that they may be caused by magnetic heating as the core collapses into a magnetar, or that it’s intensity is strengthened by pair-instability reactions in its core. The evidence leaned toward the magnetar model, but observations of a new supernova challenge that idea. The new supernova is known as ASASSN-15lh, and it was more luminous than any supernova ever seen. About 20 times more luminous than the entire Milky Way. 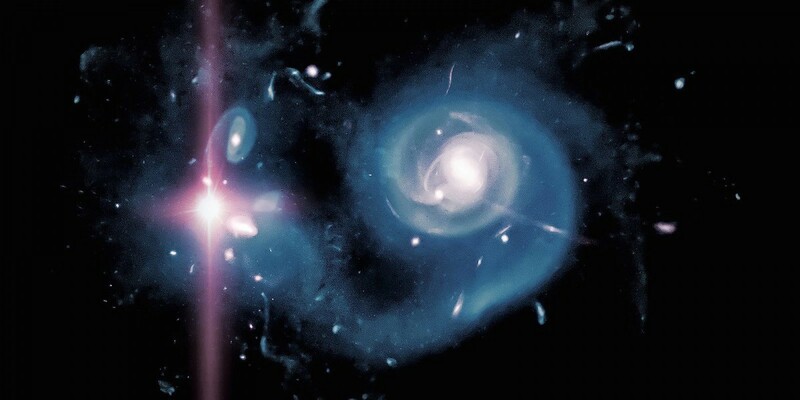 It’s light has traveled for about 2.7 billion years, so it’s apparent brightness in our sky wasn’t particularly bright, but in terms of absolute magnitude it was about three times as bright as other known superluminous supernovae. 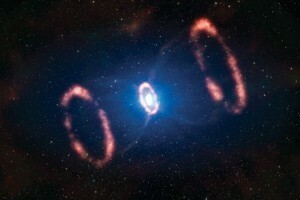 It is also unusual in that it occurred in a bright galaxy where there is not much new star formation. Other superluminous supernovae occur in active dwarf galaxies. The team observing the spectra of this supernova found that it was low in hydrogen. This is indicative of a star that has cast off its hydrogen-rich outer later, and would seem to support the magnetar model. But the extreme energy of ASASSN-15lh puts it at the upper limit of the model. If this was indeed a magnetar supernova, then it was at the upper limit of the hypothetical energy range. That seems a bit unusual, and it raises the question of whether the magnetar model might be flawed. The key to solving this mystery will be the discovery of similar superluminous supernovae. This particular supernova was discovered by the All Sky Automated Survey for SuperNovae (ASASSN) which is a collection of small (14 centimeter) telescopes in Chile and Hawaii. It’s a relatively low cost project that lays the groundwork for larger projects such as LSST. So over time we’re bound to find similar supernovae.